This year we once again challenged ourselves, other local businesses and the community to give a little more. This was the fourth year that we have done our toy shop challenge and it was also our most successful. 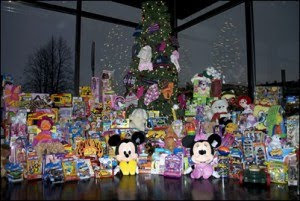 This year we collected well over 500 new toys! To make things even better, we have already received toys for next year. Thanks to everyone who participated and helped make these kids Christmas a little better.